My first scientific romance — call it an infatuation, I was 15 at the time — was astronomy, and my first real love was physics, a few years later. But the love of my life is probability. Scientifically speaking, of course. I came to probability rather late, only after finishing my PhD. And it is because of this, I think, that I have always looked at the field with more distance than people who were trained as probabilists and statisticians. I tend not to confound probability theory with a subfield of measure theory, as is so often done nowadays. I have always been interested in its foundations and ideas, much more than in its immediate successes and applications. My views on probability theory were strongly influenced by a number of people. People whom I admire, learned a lot from, and consider to be great thinkers. The first — and I sadly never got the chance to meet him — was Bruno de Finetti. My second and third teachers were Peter Walley and Teddy Seidenfeld, whom I did get to meet, and became friends with. They taught me a few things: (i) that probability theory is about inference and decision under uncertainty, and (ii) that in probability theory, as in logic, a little knowledge goes a very long way — and with little knowledge I mean partial knowledge, or probabilities that are only partially specified. This runs counter to the mainstream in the field, which, in its methods and formalisms, keeps insisting on complete representations: on sample spaces and completely specified probability distributions. Even though here and there ‘partial’ things cannot be kept from popping up: Markov’s inequality, or martingales, to give only a few important examples. And so today I get the chance to honour and congratulate my fourth teacher in probability theory — Glenn Shafer. I knew of Glenn when I started my PhD work in 1988 — who in the field hadn’t heard of the Dempster–Shafer theory of belief functions at the time! But it wasn’t that part of his work that caught my attention. What made me prick up my ears was the discovery of his 1996 book The Art of Causal Conjecture, in 1997, in a small bookshop in Los Alamos. This book prepared me for the appearance of another book called Probability and Finance, It’s Only a Game! Glenn published this book in 2001 with Volodya Vovk. These two books made me combine their dynamical ideas with the partial probability specifications that I had been working on before. This ‘choc des idées’ allowed me to come up with workable strategies for dealing with partial probability specification in dynamical systems, one topic that is now taken further by my research group here at Ghent University. But there is more. Much more. There’s more because the language, the formalism and the methods of the Probability and Finance book are strange. They seem very strange to the ears and minds of people trained in probability theory: people steeped in the formalism and approaches of measure-theoretic probability. In fact, they were perceived to be so strange that a number of established figures — measure theorists and functional analysts — famously failed to see their significance and potential. Why? Because the probabilistic arguments in this book seem far away from Pierre de Fermat’s idea of full probability specification, far away from sample spaces, and far away from probability distributions. And because the book casts partial probability specification in a formalism that harkens back to Pascal and Huygens’s approach to probability , not to Fermat’s. And, indeed, this difference in approach brings us to today’s lecture and ceremony, and to my reasons for proposing Glenn Shafer as a Sarton medallist. For not only has Glenn been a productive scholar and historian of probability theory. He has also, in my view, achieved what few of us are able to: to go back to the sources, to delve into the history of scientific ideas, and to re-emerge with ideas that had been dormant, that didn’t quite make it, because of historical or cultural reasons. And then to revive them, to give them a new lease of life, so that they may yet realise their full potential. It is for this reason, Glenn, that I am very proud and happy that I have been able to play a small role in making you the recipient of this fully deserved honour. A conference version of one of the papers I am perhaps most proud of. Research for this paper started with discussions between Philip Dawid and myself about what prequential interval forecasting would look like, during a joint stay at Durham University in late 2014. Jasper who joined in late 2015, and I wrote an early prequential version of the present paper during a joint research visit to the Universities of Strathclyde and Durham in May 2016, trying to extend results by Volodya Vovk to make them allow for interval forecasts. In an email exchange, Volodya pointed out a number of difficulties with our approach, which we were able to resolve by letting go of its prequential emphasis, at least for the time being. This was done during research visits of mine to Jasper at IDSIA in late 2016 and early 2017. Abstract: We use the martingale-theoretic approach of game-theoretic probability to incorporate imprecision into the study of randomness. In particular, we define a notion of computable randomness associated with interval, rather than precise, forecasting systems, and study its properties. The richer mathematical structure that thus arises lets us better understand and place existing results for the precise limit. When we focus on constant interval forecasts, we find that every infinite sequence of zeroes and ones has an associated filter of intervals with respect to which it is computably random. It may happen that none of these intervals is precise, which justifies the title of this paper. We illustrate this by showing that computable randomness associated with non-stationary precise forecasting systems can be captured by a stationary interval forecast, which must then be less precise: a gain in model simplicity is thus paid for by a loss in precision. This paper was presented at the ISIPTA 2017 symposium in Lugano, Switzerland. Besides the actual paper, you can also download our presentation, and our poster. Als onderwijsdirecteur van de Faculteit Ingenieurswetenschappen en Architectuur werk ik nauw samen met Rik Van de Walle. Dat geeft me de kans hem vaak van nabij aan het werk te zien. Ik beschouw Rik als een goede vriend — het kan best dat mijn waarneming daardoor gekleurd is. En toch, vriendschap maakt niet blind, ze kijkt welwillend naar wat ze scherper waarneemt. Precies die welwillendheid is wat ik in Rik het meest apprecieer. Hij zal het niet altijd met je eens zijn — en hij zal je dat ook duidelijk maken — maar hij wil luisteren naar redelijke én emotionele argumenten, en is soepel genoeg om zijn mening te herzien. Doordat hij in een gesprek vaak hardop redeneert, hoor je hem soms van mening veranderen, en weet je — mits enige aandacht — meteen ook waarom en hoe dat is gebeurd. Dat vraagt wat soepelheid, maar maakt het uiteindelijk nog zo makkelijk. Ik ken weinigen die zoveel energie halen uit hard werken als Rik. Hij heeft ambitie en visie, en is een intelligente strateeg, die zelden onvoorbereid aan een vergadering of discussie deelneemt. Hij is pragmatisch met oog voor het haalbare, en met geduld voor wat langer moet duren. Als decaan is hij er voor alle geledingen, met expliciete aandacht voor de standpunten en bezorgdheden van de studenten. Ik zie hem, ook als vakgroepvoorzitter, voortdurend zoeken naar redelijke en menselijke oplossingen met zorg voor de samenhang en het geheel. Hij heeft het daarbij evenmin als ik begrepen op administratieve verwikkelingen. Rik heeft mij alle vrijheid gegeven om mijn job als onderwijsdirecteur breed en eigenzinnig in te vullen, en is er altijd met raad, steun en direct constructieve feedback. Hij deelt met veel ingenieurs de analytische geest, de creativiteit, en de aandacht voor en het inzicht in hoe systemen werken. Maar de meeste van onze gesprekken gaan over kunsten en letteren, en de filosofie van de wetenschap. Ik vond in hem een bondgenoot in het verbinden van verschillende disciplines, en voor het verruimen van de focus van onze ingenieursopleidingen. Als oprichter van de MultiMediaLab-onderzoeksgroep weet hij zelf heel goed hoe toegepast onderzoek werkt en moet worden gestuurd, maar — en dat is wellicht minder vanzelfsprekend voor ingenieurs — hij ondersteunt actief de ongeleide projectielen die wij, de fundamentelen in onze faculteit, vaak willen zijn. Ik denk dat Rik een hele goeie rector zou zijn, die energie, visie, zin voor strategie, compromisbereidheid en een flinke dosis humor kan combineren met een multiperspectivistische houding. Zijn rectoraat zou kunnen helpen om de verschillende gezindten aan onze alma mater te verenigen. Wij staan met alle UGent’ers voor een open, breeddenkende en grensverleggende universiteit. De rest is een achterhoedegevecht. … when you know and feel you can never be part of the right, but find yourself more and more alienated from the position taken by the mainstream left. It is a sign of how upside-down modern politics has become that one assumes that a politician who defends freedom of speech and women’s rights in the Arab world must be some kind of muscular liberal, or neocon, or perhaps a supporter of one of Scandinavia’s new populist right-wing parties whose commitment to human rights is merely a cover for anti-Muslim hatred. But Margot Wallström is that modern rarity: a left-wing politician who goes where her principles take her. 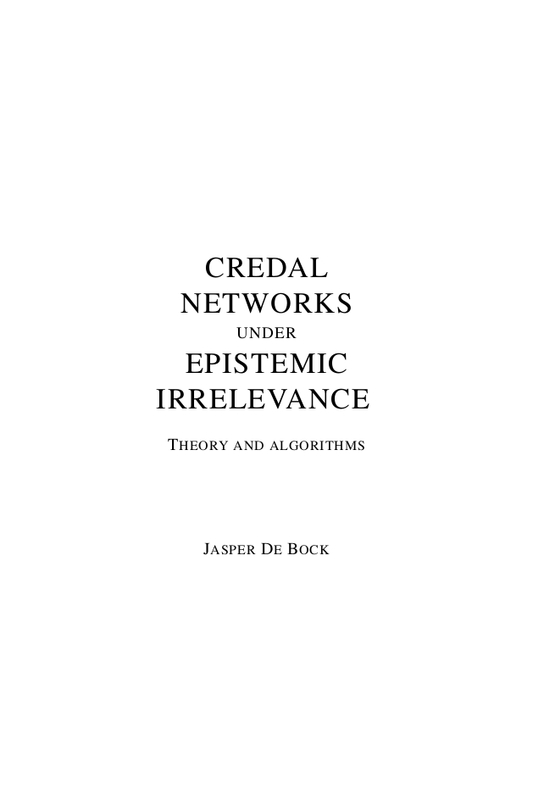 Jasper De Bock publicly defended his PhD dissertation at Ghent University on May 13, 2015. With great success. Zo’n vijf jaar geleden stapte je voor het eerst m’n kantoor binnen, en ik weet niet of je toen iets heb horen piepen, of kraken, of misschien wel scheuren: je leven is die dag onherroepelijk gekanteld van bouwkunde naar waarschijnlijkheid. Je kwam toen, vergezeld door en op aanraden van Arthur, kijken welke masterproeven ik voor jullie in petto had. De tweede keer dat ik je zag, hadden jullie beiden ervoor gekozen om bij mij een masterproef te doen. Je vroeg dan maar meteen of je mij “Gert” kon noemen. Nu ja, vragen, het leek eerder een vaststelling … Van Arthur wist ik meteen dat ik hem leuk ging vinden. Bij jou dacht ik dat dat misschien wel zou lukken. Na drie maanden had je een algoritme geschreven dat ik revolutionair vond, en nog steeds vind. Na vier maanden was je FWO-aanvraag binnen. Na vijf maanden reden we met een mini-Cooper door de bergen rond Lugano omdat ik dacht dat een aantal experten daar je ideeën wel zouden kunnen smaken. Het was de eerste van een aantal gezamenlijke reizen naar conferenties en buitenlandse universiteiten. We noemen ze road-trips, en ook Arthur en Stavros waren en zijn vaste compagnons. Samen werken aan slides, mekaar ‘s nachts van hotelkamer naar hotelkamer sms’en met scans van bewijzen, van de grote teen naar de knieholte van Italië rijden, heel vroeg gaan zwemmen in de Adriatische Zee, en vis, man, die vis die er zo lekker is. We hebben ook veel onderzoek met z’n tweeën gedaan: of samen aan het bord, of jij telkens weer op de glazen tafel waarvan ik je elke keer weer moest vragen om er niet op te gaan zitten omdat ik zeker was dat je erdoor zou zakken, of allebei in een zetel, of ergens nagenoeg ondersteboven op een trap, of gewoon op de vloer. Jij bent de enige onderzoeker die ik ken die ondersteboven nadenkt omdat er dan meer zuurstof naar je hersenen vloeit. Er zijn zo een aantal artikels waarop ik echt wel trots ben, en twee daarvan hebben we samen geschreven; samen genoeg voor meer dan 150 bladzijden. Dat was soms wroeten, dan weer spelen, en af en toe verhitte tweekamp. Maar het voelde vaak aan als voetbal, de perfecte combinatie, waarbij het niet uitmaakte wie die verrassende dieptepas gaf, en wie voor het doel afwerkte na een niet te anticiperen schijnbeweging. Je bent, zonder een schijn van concurrentie, de meest luidruchtige jongen die ik ken. Je maakt ongeveer bij alles lawaai. En dat kan bij mij, bij wie indrukken soms nogal hard binnenkomen, hoe zal ik het zeggen, al eens een hevige reactie opwekken. Vandaar de aankoop van een lawaaionderdrukkende BOSE-hoofdtelefoon, een van mijn beste investeringen van de laatste vier jaar. Maar weet je wat, gast? Dat is helemaal niet erg. Al dat lawaai is jouw reactie op die toverdoos van indrukken die de wereld voor jou is: het beeld van de jongen in de speelgoedwinkel is voor jou uitgevonden. Ik ben blij dat we in een maatschappij leven waarin universiteiten bestaan die aan mensen zoals jij de kans geven om ideeën met passie achterna te zitten, ze kritisch te fileren, en ze met vuur aan anderen over te brengen. Ik ben blij dat je hier nu bent beland vandaag, ik ben trots dat ik je hierbij heb mogen gidsen en helpen, en ik ben vol vertrouwen dat je het hierna verder schitterend gaat doen. Gert de Cooman, Gent, 13 mei 2015. A paper with a long history, polished to perfection. It was conceived out of our frustration with the term ‘desirability’, and its lack of an operational definition. Whereas it is easy to see what it means to accept a gamble, it seems harder to define what it means to find it desirable, or strictly preferable to the status quo. We solve this problem by also looking at what it means to reject a gamble. And in doing so, we come up with a decision-based uncertainty theory that encompasses most of the existing ones in the literature, and which allows us to compare them and put them into proper perspective. Abstract: We develop a framework for modelling and reasoning with uncertainty based on accept and reject statements about gambles. It generalises the frameworks found in the literature based on statements of acceptability, desirability, or favourability and clarifies their relative position. Next to the statement-based formulation, we also provide a translation in terms of preference relations, discuss—as a bridge to existing frameworks—a number of simplified variants, and show the relationship with prevision-based uncertainty models. We furthermore provide an application to modelling symmetry judgements. Published where? International Journal of Approximate Reasoning 59 (2015) 61–102. This is what we jokingly refer to as ‘our new book’. It has made me redefine the main goal of my life: to write and publish, if only just once, a paper that is shorter than ten pages. Abstract: Coherent reasoning under uncertainty can be represented in a very general manner by coherent sets of desirable gambles. In a context that does not allow for indecision, this leads to an approach that is mathematically equivalent to working with coherent conditional probabilities. If we do allow for indecision, this leads to a more general foundation for coherent (imprecise-)probabilistic inference. In this framework, and for a given finite category set, coherent predictive inference under exchangeability can be represented using Bernstein coherent cones of multivariate polynomials on the simplex generated by this category set. This is a powerful generalisation of de Finetti’s Representation Theorem allowing for both imprecision and indecision. We define an inference system as a map that associates a Bernstein coherent cone of polynomials with every finite category set. Many inference principles encountered in the literature can then be interpreted, and represented mathematically, as restrictions on such maps. We discuss, as particular examples, two important inference principles: representation insensitivity—a strengthened version of Walley’s representation invariance—and specificity. We show that there is an infinity of inference systems that satisfy these two principles, amongst which we discuss in particular the skeptically cautious inference system, the inference systems corresponding to (a modified version of) Walley and Bernard’s Imprecise Dirichlet Multinomial Models (IDMM), the skeptical IDMM inference systems, and the Haldane inference system. We also prove that the latter produces the same posterior inferences as would be obtained using Haldane’s improper prior, implying that there is an infinity of proper priors that produce the same coherent posterior inferences as Haldane’s improper one. Finally, we impose an additional inference principle that allows us to characterise uniquely the immediate predictions for the IDMM inference systems. Published where? Journal of Artificial Intelligence Research 52 (2015) 1–95. 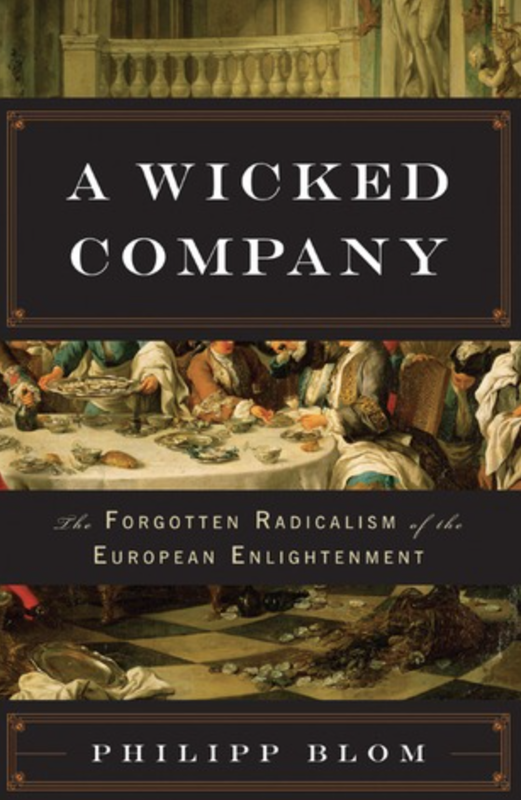 This is a thoroughly enjoyable book with a mission: to change our perception of the Enlightenment and its main actors. It is clear from the outset whom the author likes and dislikes, and whom he wants us to like. But the book strikes a chord, and confirms my biased opinion that the radical, atheistic, hedonistic Enlightenment thought with its emphasis on the individual in a social context, going back to Epicurus, and influencing amongst others Nietzsche, Shelley, and dare I even suggest it, Dawkins, is a much better guide for today than the soft, watered down and much better known version with its deistic emphasis on Reason and System. Invited plenary lecture (with video) at the 12th Brazilian Meeting on Bayesian Statistics (EBEB 2014) in Atibaia SP, Brazil on 10 March 2014. This talk (and the extremely long paper to go with it) marks the happy end of a spontaneous and informal research project that started in 2004, branched off in a surprising number of directions, and taught me so much about mathematics in general, and the foundations of probability theory in particular. Along the way, I needed all the help I could get, and got it from Enrique Miranda, Erik Quaeghebeur, Jasper De Bock and Márcio Diniz. Here’s the abstract: Coherent reasoning under uncertainty can be represented in a very general manner by coherent sets of desirable gambles. In this framework, and for a given finite category set, coherent predictive inference under exchangeability is represented using Bernstein coherent cones of multivariate polynomials on the simplex generated by this category set. This is a powerful generalisation of de Finetti’s representation theorem allowing for both imprecision and indecision. We define an inference system as a map that associates a Bernstein coherent cone of polynomials with every finite category set. Many inference principles encountered in the literature can then be interpreted, and represented mathematically, as restrictions on such maps. We discuss two important inference principles: representation insensitivity—a strengthened version of Walley’s representation invariance—and specificity. We show that there is an infinity of inference systems that satisfy these two principles, amongst which we discuss in particular the inference systems corresponding to (a modified version of) Walley and Bernard’s imprecise Dirichlet multinomial models (IDMMs) and the Haldane inference system. 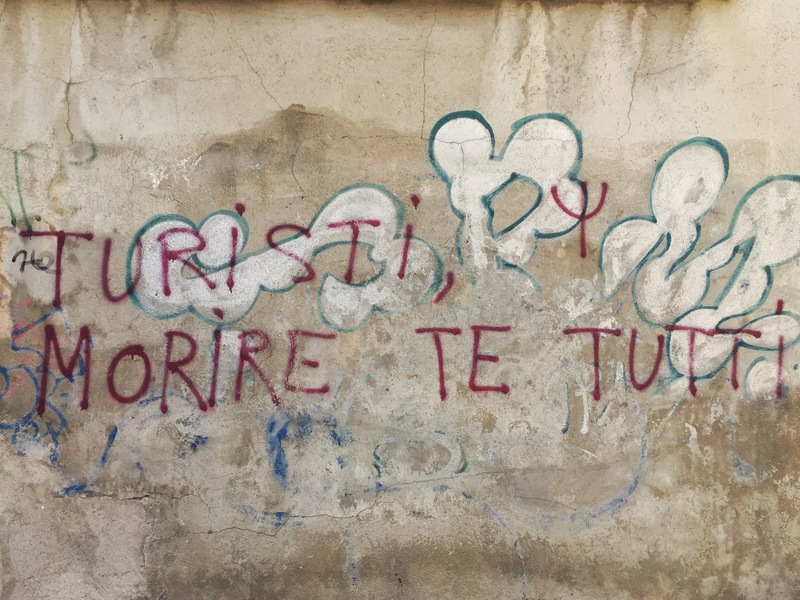 Invited plenary lecture at the Fifth Workshop on Game-Theoretic Probability and Related Topics (GTP2014), held in Guanajuato, Mexico, 10-13 November 2014. Based on research I’ve done in the past year with Jasper De Bock and Stavros Lopatatzidis. I had been trying to prove an ergodic theorem in an imprecise probabilities context ever since I started work in the field. These things take time and patience, especially in imprecise probabilities, because many of the tools present in the precise counterpart are simply not available yet. Or take surprisingly different forms. Here’s the abstract: We prove a game-theoretic version of the strong law of large numbers for submartingale differences, and use this to derive a pointwise ergodic theorem for discrete-time Markov chains with finite state sets, when the transition probabilities are imprecise, in the sense that they are only known to belong to some convex closed set of probability measures. 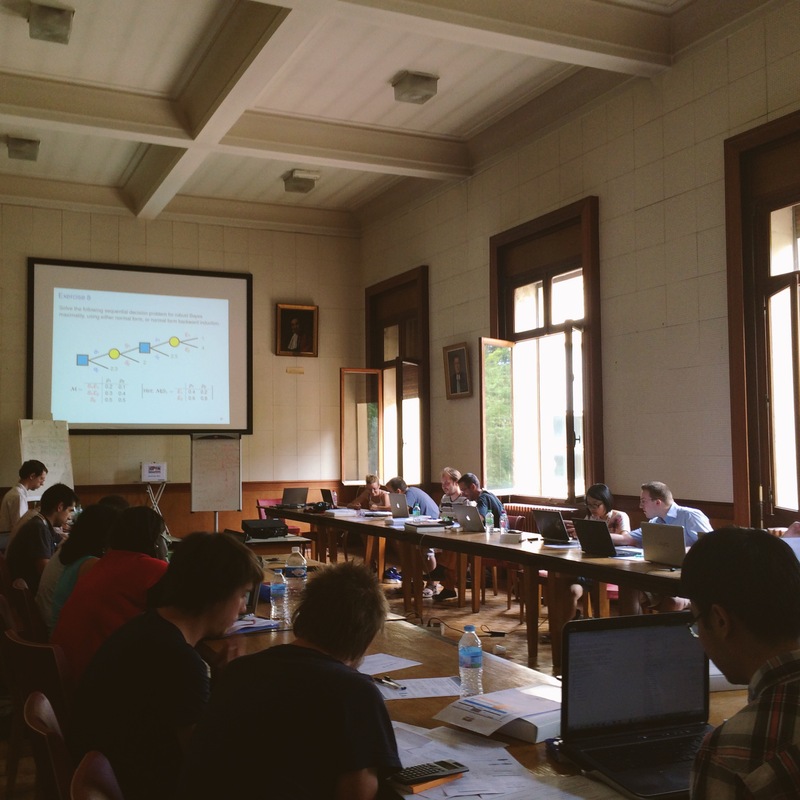 I have just finished lecturing at the SIPTA 2014 School in Montpellier, the 6th installment of a series of summer schools on imprecise probabilities, held at the beautiful location of the Institut de Botanique. Erik Quaeghebeur and I presented a joint lecture on inference. You can download our slides for the joint presentation, lecture notes for Erik’s general discussion of inference and his additional examples for binomial sampling, and lecture notes for my discussion of symmetry and exchangeability. I have often thought that the nature of science would be better understood if we called theories “misconceptions” from the outset, instead of only after we have discovered their successors. Thus we could say that Einstein’s Misconception of Gravity was an improvement on Newton’s Misconception, which was an improvement on Kepler’s. The neo-Darwinian Misconception of Evolution is an improvement on Darwin’s Misconception, and his on Lamarck’s… Science claims neither infallibility nor finality. David Deutsch in The Beginning of Infinity. I have loved reading this book because it is unsettling, thought-provoking, eye-opening, mind-changing, infuriating, stubbornly consistent, cocksure, demanding. Because it ridicules and confirms ideas I hate and ideas I love, and not always and not necessarily in that order. 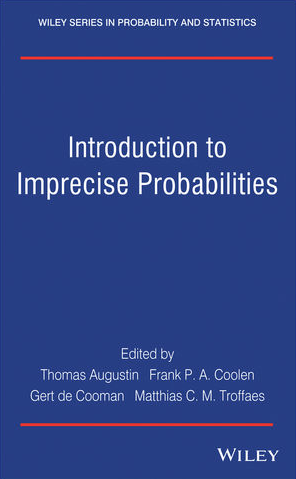 And the goodies keep coming in: this morning I received advance copies for another Wiley book, Introduction to Imprecise Probabilities, edited by Thomas Augustin, Frank Coolen, Matthias Troffaes and me, but this one took us only about five years to finish. In recent years, the theory [of Imprecise Probabilities] has become widely accepted and has been further developed, but a detailed introduction is needed in order to make the material available and accessible to a wide audience. This will be the first book providing such an introduction, covering core theory and recent developments which can be applied to many application areas. All authors of individual chapters are leading researchers on the specific topics, assuring high quality and up-to-date contents. An Introduction to Imprecise Probabilities provides a comprehensive introduction to imprecise probabilities, including theory and applications reflecting the current state if the art. Each chapter is written by experts on the respective topics, including: Sets of desirable gambles; Coherent lower (conditional) previsions; Special cases and links to literature; Decision making; Graphical models; Classification; Reliability and risk assessment; Statistical inference; Structural judgments; Aspects of implementation (including elicitation and computation); Models in finance; Game-theoretic probability; Stochastic processes (including Markov chains); Engineering applications. Essential reading for researchers in academia, research institutes and other organizations, as well as practitioners engaged in areas such as risk analysis and engineering. This morning I received advance copies from Wiley of the book Lower Previsions that Matthias Troffaes and I have been working on for the past eight years. I am really excited that it is finally here, and I hope that our effort will help other people extend and apply the theory of imprecise probabilities. 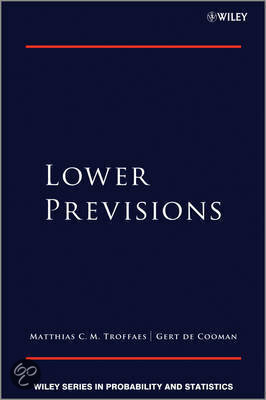 Lower Previsions is an overview of, and reference guide to, the mathematics of lower previsions. Starting from first principles—acceptability—, we derive their mathematical properties and relate them to a wide range of other uncertainty models—belief functions, Choquet capacities, possibility measures—and mathematical concepts—including filters, limits, propositional logic, integration and many other constructs from functional and convex analysis. The material of the book is advanced and aimed at researchers, postgraduate students and lecturers. It will be of interest to statisticians, probabilists, mathematicians and anyone whose field of interest includes some form of uncertainty modelling, both from a practical and a theoretical point of view. Work on this book started about 8 years ago. The idea was, at that time, to turn the most important results in Matthias’s PhD thesis, supervised by Gert, into a coherent and more or less self-contained research monograph. Our initial plan was to focus on two things: first, the relationship between natural extension and integration and second, the discussion of lower previsions defined on unbounded gambles. It soon became clear that, in order to make the book more self-contained, we needed to include much more material on lower previsions themselves. At the same time, we gathered from conversations with close colleagues that there was a definite interest in—given the perceived lack of—a comprehensive treatment of the existing theory of lower previsions. And so we decided to include, besides our own, a number of contributions from other people, amongst whom in particular are Peter Williams, Peter Walley, Sebastian Maass, Dieter Denneberg and Enrique Miranda. The present book, therefore, differs significantly from the one we started out with. While initially, the book was mostly focused on Matthias’s PhD work, in its present form, it contains much more material and both authors have contributed to it on an equal footing. In the first part of this book, we expose and expand on the main ideas behind the theory that deals exclusively with bounded gambles. We also discuss a wide variety of special cases that may be of interest when implementing these ideas in practical problems. In doing so, we demonstrate the unifying power behind the concept of coherent lower previsions, for uncertainty modelling as well as for functional analysis. In the second part of this book, we extend the scope of the theory of lower previsions by allowing it to deal with real gambles that are not necessarily bounded. In that part, we also deal with conditioning and provide practical constructions for extending lower previsions to unbounded gambles. We have tried to make this book as self-contained as possible. This means, amongst other things, that we have tried to at least provide an explicit formulation—if not an actual proof—of most results that we use. We have relegated to a number of appendices supporting material that did not fit nicely into the main storyline. If you are used to a measure-theoretic approach to probability, you may initially feel somewhat lost in this book, because we do not start out with measurability at all. Indeed, the foundations of lower previsions, for arbitrary spaces, do not rely on any notion of measurability. This may come as a surprise to some people who think that using measurability is natural and should come first. Instead, our discussion of lower previsions is founded on a notion of acceptability of gambles, which has a direct behavioural interpretation. In other words, rather than posing laws of probability, we pose laws of acceptability, from which laws of probability are derived. As often as possible, we give detailed accounts of most steps in the proofs, with explicit references to other results that are being used. This may appear to be pedantic—or even worse, condescending—to some, but we thought it better to be too specific rather than incur the risk of explaining too little: as this is not a small book, we cannot expect any reader to remember every little result we have proved or mentioned earlier. We hope that you will enjoy reading and working with this book as much as we have enjoyed researching and writing it. Abstract: The aim of these notes is to study the conditions under which the natural extension of an imprecise Markov chain is continuous with respect to the pointwise convergence of monotone (either non-decreasing or non-increasing) sequences of gambles that are n-measurable, with n a natural number. The framework in which we do this is that of the theory of imprecise random processes currently being developed in (De Cooman, 2014). We find that for non-decreasing sequences, continuity is always guaranteed if the state space of the Markov chain is finite. We find a similar result for non-increasing sequences, under the extra condition that the joint model is constructed using the Ville-Vovk-Shafer natural extension rather than the Williams natural extension. We also discuss the extent to which these results apply to general random processes. This is a note containing the proofs of two useful continuity results for monotone adapted processes in imprecise Markov chains. We intend to include them, or rely on them, in forthcoming papers on Markov processes, and on stochastic processes using imprecise probabilities. I will post more bibliographic details on my UGent website as they come in. What makes teaching—and so many other types of interaction—so interesting and challenging, is the tension between explaining and seducing, or if you allow me to overstretch it somewhat, between clarity and mystery. I’ve been thinking about this off and on in the past few days. Because I’m about to start teaching again. And for other, less obvious, reasons. Too much of the time our culture fears subtlety. They really want to make sure you get it. And when subtlety is lost, I get upset. In his last job he would sometimes stand up on a train journey from London to his home, open the window and hurl out his briefcase, then calmly resume his seat. Fellow passengers looked on aghast, unaware that he had flung the briefcase into his own back garden. Ik ontvang graag van u andere voorbeelden van deze interessante en dwingende wetmatigheid, om een laatste vakantiedag vol te maken. Invited plenary lecture at the 12th European Conference on Symbolic and Quantitative Approaches to Reasoning with Uncertainty (ECSQARU 2013) in Utrecht, The Netherlands on 10 July 2013. Is het aantal (gereviewde en gepubliceerde) artikels een goede graadmeter voor de kwaliteit van het geleverde onderzoek? Hierop past een genuanceerd antwoord, dat rekening houdt met de publicatiecultuur in het vakgebied, met het aantal auteurs per artikel, met hun lengte—sommigen verdelen resultaten over vele kortere en snellere artikels, anderen publiceren ze liever in langere werkstukken die een vollediger verhaal vertellen. Maar ook andere publicaties, zoals boeken (textbooks zowel als research monographs) kunnen een zeer grote didactische zowel als wetenschappelijke waarde hebben. En de kwaliteit van publicaties beoordeelt men nog altijd het beste door ze te lezen, niet door ze te tellen. Is het nodig om als wetenschapper/onderzoeker een meer dan gewone inzet te tonen, die zich uit in veel, lang en hard werken? Mijn antwoord hierop is een ongenuanceerd “ja”. De boutade op Twitter van een collega ‘Alsof coureurs die Tour de France rijden, klagen over het feit dat er bergen in het parcours zijn.’ lijkt mij daarom aan de kwestie voorbij te gaan. Het is ook een “if you can’t stand the heat, get out of the kitchen”-argument dat negeert dat grote hitte niet noodzakelijk tot de beste gerechten leidt. Dit brengt mij bij het derde thema. Is de sterke klemtoon op het publiceren van wetenschappelijke resultaten in artikels op lange termijn bevorderlijk voor het wetenschappelijk bedrijf? Dit is een erg interessante vraag, die meer discussie en studie verdient. Ik ben er niet zo zeker van dat het antwoord erop een onverdeeld “ja” zal zijn. Publiceren is een middel om resultaten te communiceren, maar niet het doel van wetenschap. Toch zie ik doctorandi en collega’s die meer op publiceren dan op het onderzoeken zelf gefocust zijn—ik ervaar bij mezelf dat het moeite vraagt om die vaak onbewuste neiging te onderdrukken. En mijn ervaringen als reviewer en redacteur leren dat de druk om veel te publiceren vaak duidelijk zichtbaar is in de kwaliteit van de artikels die ik onder ogen krijg—gesprekken met collega’s geven aan dat die ervaringen zeker niet uniek zijn. You repeat this several times, sometimes for several years on end. And then, one day, often when you’re not thinking about it at all, there is a … what? A hunch, a flash, a suspicion, a hint at an extremely simple idea that brings about an uneasy feeling, a vague sense of excitement. The excitement rises, and you decide to look at the problem again, because all of a sudden you have this crazy absolute certainty that this will work, even though you’d never be able to explain rationally why it should. It just seems to fit. It is simple and crazy and surprising enough to fit. And yes, the problem starts to unravel, to fall apart into manageable pieces, and while you are working on it continuously for days and often weeks, your motivation and concentration are sustained by a strong feeling of satisfaction, because you are experiencing pure unmitigated beauty, simplicity, elegance, necessity. You’ve solved the problem. You’re happy and satisfied. You can’t face looking at it again for months and months. You feel you’re done with it. But you have to tell other people about it, explain it, teach about it. And sometimes, the excitement comes back, because you see that the simple and crazy idea you had, manages to seduce other people as well. Op donderdag 18 april gaf ik in Auditorium Magnel (Campus Ardoyen, Zwijnaarde) een voordracht, of eigenlijk een les, in het kader van TechBoost, een initiatief van AIG. Ik heb genoten van de unieke sfeer die een geïnteresseerd publiek creëert, en dat kun je zien op de foto’s die het AIG heeft vrijgegeven. Ook mijn slides zijn voor consultatie beschikbaar. Mocht je vragen hebben, dan contacteer je mij het beste via e-mail. … when something you wrote down at 4am still makes sense at 9am. Lecture at the Fourth Workshop on Game-Theoretic Probability and Related Topics (GTP2012), held in Tokyo, Japan, 12-14 November 2012. Based on research I’ve done during the past few years (and for the last part in particular during the last few months) with Filip Hermans, Jasper De Bock and Enrique Miranda. Here’s the abstract: In game-theoretic probability (GTP) there is a fundamental formula (which we will call the Shafer-Vovk-Ville, or SVV, formula) for expressing lower and upper prices for a variable defined on the terminal situations of an event tree associated with a game. In GTP it is used as a given: a starting point for much of the development of the theory. In earlier work, we have shown how, for event trees that are bounded, this formula can be derived on a behavioral approach and with a different interpretation, in the context of the theory of imprecise probabilities (IP), from two rationality requirements: coherence and cut conglomerability. In the present talk, we discuss how something similar, but more involved, can also be done for unbounded event trees: besides coherence, we impose two additional rationality axioms, bounded cut conglomerability and bounded cut continuity. Interestingly, our approach shows that in deriving the SVV formula, two types of infinity have a part, and can be treated separately: bounded cut conglomerability tries to cope with infinity in the width of the event tree, and bounded cut continuity with infinity in its depth. These additional requirements only need to be invoked when going from local to global modes: it concerns the global uncertainty models in the tree—the uncertainty about paths—, whereas for the local models—the uncertainty about the next move in a situation—we only need to impose coherence, nothing more. We explore a number of aspects and consequences of this connection between GTP and IP. I will post more bibliographic details on my UGent website as they come in. Abstract: We present an efficient exact algorithm for estimating state sequences from outputs (or observations) in imprecise hidden Markov models (iHMM), where both the uncertainty linking one state to the next, and that linking a state to its output, are represented using coherent lower previsions. The notion of independence we associate with the credal network representing the iHMM is that of epistemic irrelevance. We consider as best estimates for state sequences the (Walley–Sen) maximal sequences for the posterior joint state model conditioned on the observed output sequence, associated with a gain function that is the indicator of the state sequence. This corresponds to (and generalises) finding the state sequence with the highest posterior probability in HMMs with precise transition and output probabilities (pHMMs). We argue that the computational complexity is at worst quadratic in the length of the Markov chain, cubic in the number of states, and essentially linear in the number of maximal state sequences. For binary iHMMs, we investigate experimentally how the number of maximal state sequences depends on the model parameters. We also present a simple toy application in optical character recognition, demonstrating that our algorithm can be used to robustify the inferences made by precise probability models. Don’t forget it’s a game! In his speech, Mr. Ignatieff bore down on the high price paid when politicians treat each other as enemies rather than adversaries. When you think of your opponent across the aisle as an adversary, “you reject arguments, not persons; question premises, not identities; interrogate interests, not loyalties,” Mr. Ignatieff said. A reminder of how very relevant Johan Huizinga‘s Homo ludens and In the shadow of tomorrow still are.